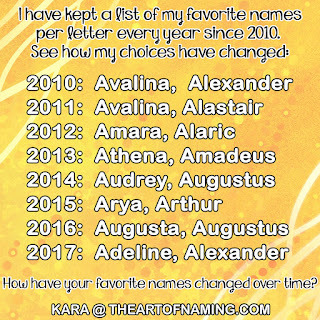 Did you know that I am available to help you name your child? View the next tab over (Naming Services) for more information. You can even read testimonials from those I've already helped. If you have a more generic question, such as a question about the website ask me here! If you have a suggestion for a name you'd like to see featured or a name-list you'd like to be created, drop me a line. Also, I am now open to the possibility of recruiting unpaid guest bloggers. If you're interested in writing a name-related article, contact me and we can discuss details. Alternatively, if you'd like me to guest blog for you, I can also consider that. Lastly, if you'd like to donate to The Art of Naming to help me afford to keep it running smoothly, it would be appreciated. If the form isn't working, click here.